The Nokia 2626 is a colorful new feature phone designed for emerging markets. The handset comes in several color schemes in addition to the pink shown at right. The feature list is shorter than the other handsets Nokia introduced today, but that's to be expected for an emerging markets phone. The notable feature that's not common in the segment is an integrated FM radio. 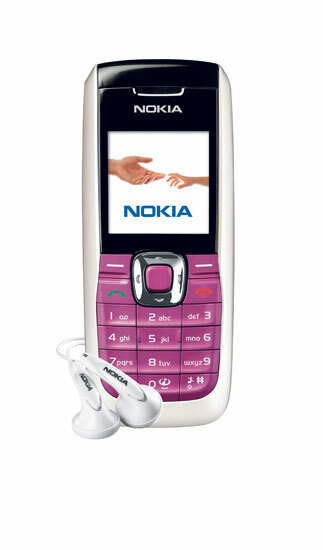 Nokia will begin shipping the 2626 in the first quarter of 2007 for an estimated 75 euros.